My wife and I are on a yearlong road trip to visit all of the national parks in the lower 48 states. In between parks, we’ve made it a point to explore other public lands along the way. Often making plans on the go, we use the mobile Bivy app to find our next adventure. From our experience with non-national park public lands, visitor’s centers are nonexistent or inconvenient to get to. And online help can be dated and difficult to sort through. Word of mouth has been more reliable for us than sifting through the maps in search of worthwhile adventures. The Bivy app has been a great resource for us. It aggregates users’ uploaded adventures all around the world. It’s easy to filter by location, star rating, activity, difficulty, and more. 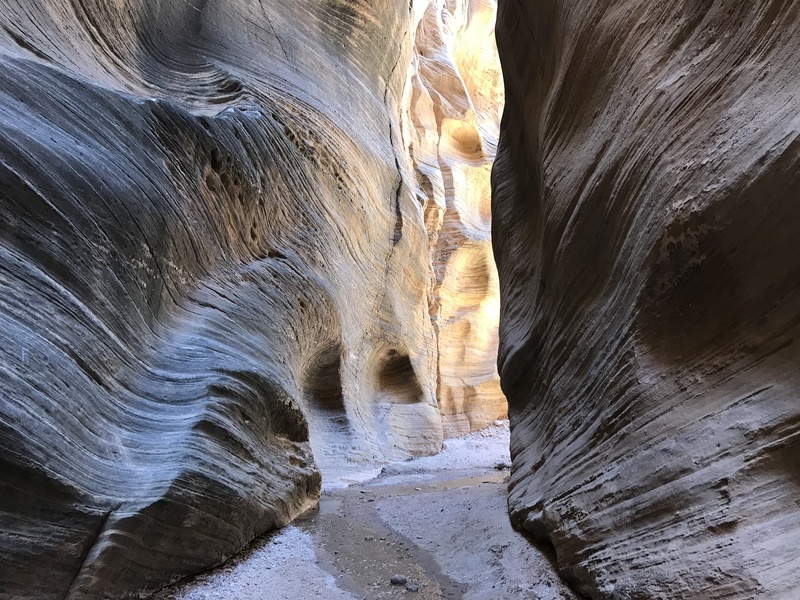 Here’s how we used the app on our road trip when visiting Grand Staircase-Escalante National Monument, the Dixie National Forest, and Salt Lake City. Though recently reduced by 47 percent, the Grand Staircase-Escalante National Monument (GSENM) is just over 1 million acres. That’s the largest national monument the Bureau of Land Management oversees. The land is extremely remote and, as a result, was the last place mapped in the continental United States. There are three main regions and four visitor’s centers in GSENM. We visited the monument twice, once when we were near Capitol Reef National Park and once when we were near Bryce Canyon National Park. With an extra day to kill between Capitol Reef and Bryce Canyon, we opened the Bivy app for adventure suggestions along our route on Highway 12. After roasting in sunny canyon washes all week, we searched on the app specifically for hikes with waterfalls in GSENM. Then we zoomed into the section along our driving route. 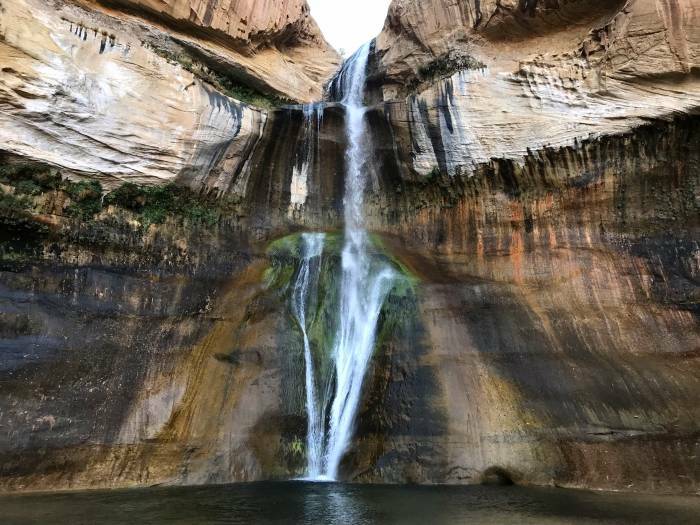 Lower Calf Creek Falls was a top suggestion, and the accompanying pictures sold us on it. After a moderate 2.9-mile hike, a 130-foot waterfall and a freshwater pool awaited us. We did the hike near sunset, so we had the typically crowded waterfall all to ourselves. Not a bad roadside adventure. When visiting Bryce Canyon National Park, we heard about a nearby slot canyon called Willis Creek. 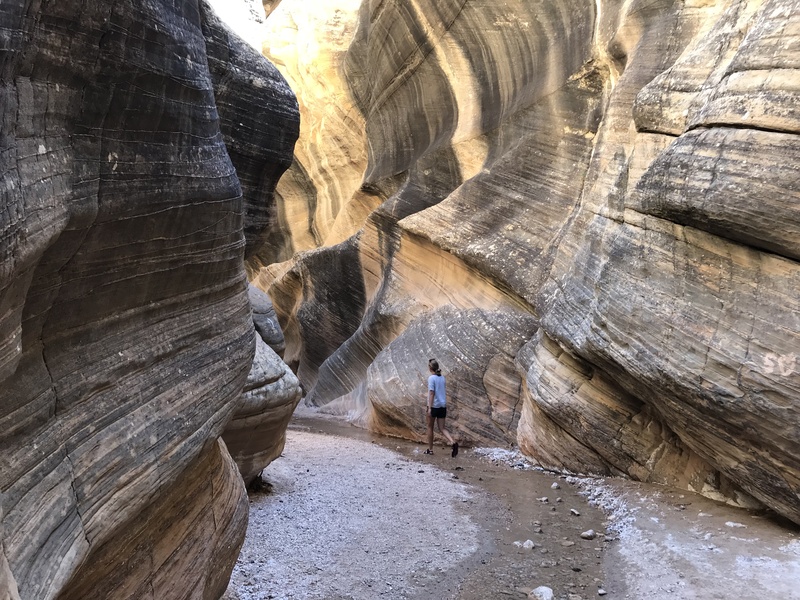 We promptly looked it up on Bivy but found only a 13.1-mile loop trail combining Willis Creek with Bull Valley Gorge. We gathered more information on just the Willis Creek canyon before setting out and tracked the adventure on the app. 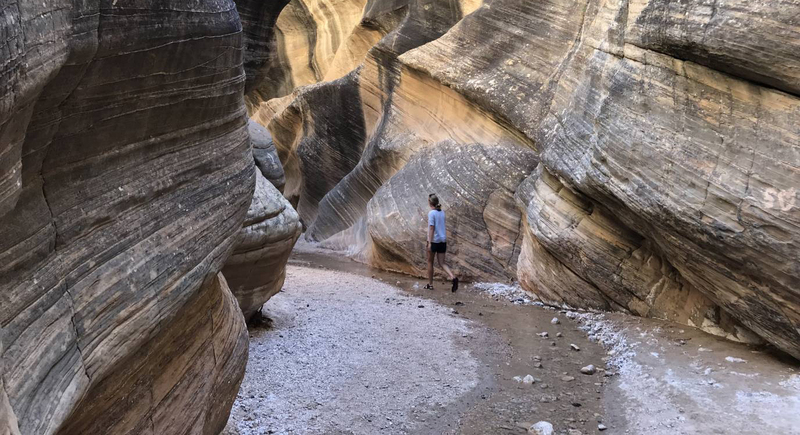 The 5.2-mile round trip hike meandered along a trickling stream through a series of five smooth slot canyons. After tracking the adventure, we uploaded it to the Bivy database so that other users can quickly and easily find and do the same adventure. The Dixie National Forest in Utah occupies nearly 2 million acres and is divided into four geographic areas. After a long stint of visiting national parks, we were itching to camp for less than $30, mountain bike, and climb. Before leaving Bryce Canyon National Park, we used the Bivy app to look for nearby mountain bike trails. Thunder Mountain Trail is highly rated, so we downloaded the adventure to our profile so we could track our progress without using any data. 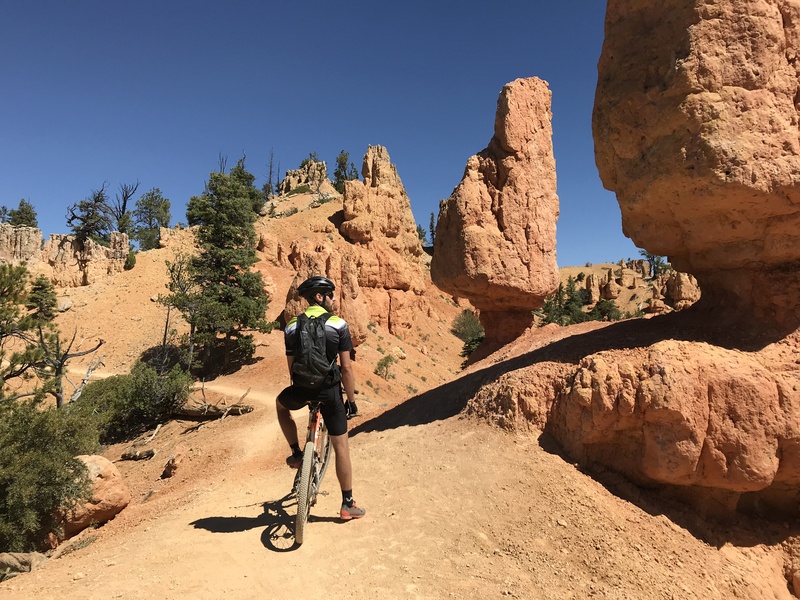 The ride was epic, swooping through towering hoodoos and red rock along a 1,400-foot descent. Along the way, the app gave us distance remaining, estimated time remaining, and elevation gain and loss. It also kept us on track at the various trail forks. After mountain biking, we needed to locate a campground for the night. Using the “find your adventure” feature and filtering by camping, we found Cedar Canyon Campground along the highway in the direction we were heading. (See below for the map view of campgrounds along Highway 14 in the Dixie National Forest). In early August, a few friends joined us in Salt Lake City for a weekend of adventure. Before they arrived, I used Bivy to brainstorm a few possible ideas. The list consisted of hiking Mt. Olympus, tagging Kessler Peak, mountain biking in Deer Valley, camping at Spruces or Redman campgrounds, hiking Donut Falls Trail, paddleboarding on the Jordanelle Reservior, and some sport climbing. Each of those adventures I found on Bivy using the “find my adventure” feature and zooming in on areas of the map where we plan to be. Ultimately, on our road trip, we’ve used the app to find some great adventures in unfamiliar areas that are too vast or undeveloped to have helpful visitor’s services. Often, the best adventures are off the beaten path and suggested by friends or area experts. Bivy compiles these prime suggestions and puts them at your fingertips. Next time you visit a new city or are driving through a swath of public lands, open up the app and see what’s around. You might just find an epic adventure that could have easily gone undone. This post is sponsored by Bivy. 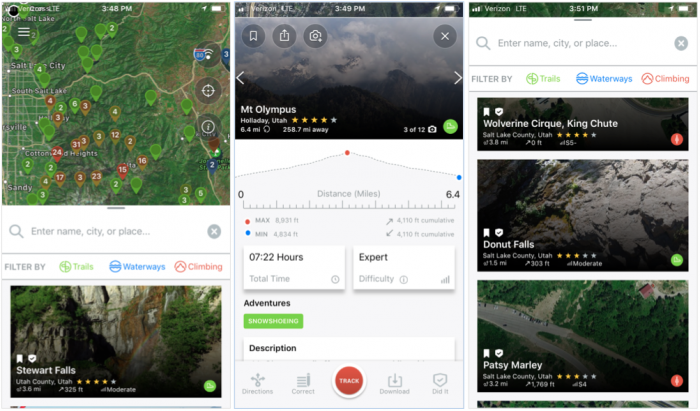 Click here to browse adventures near you, download the app, or learn about the company’s new satellite messenger, the Bivystick. iPhone, Android, all phones... the latest apps for the outdoors.